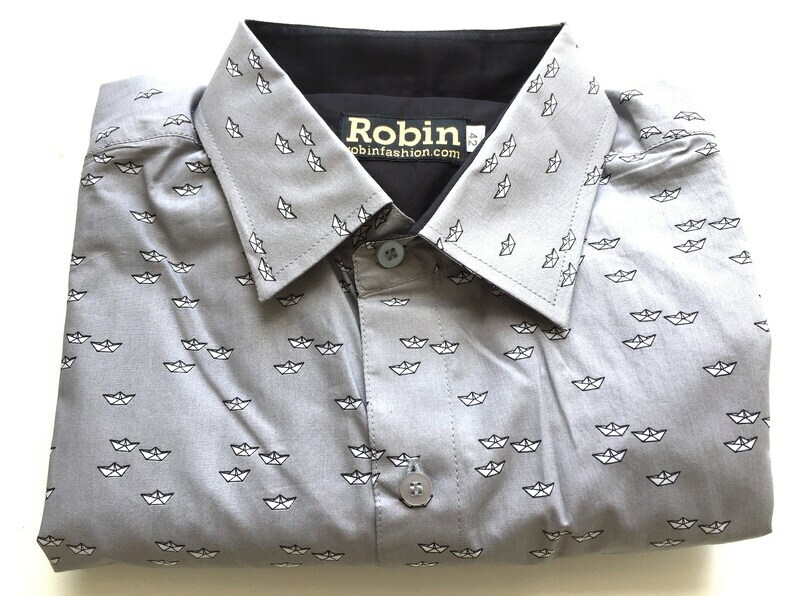 Men's dress shirt with geometric print in a slim fit. Beautifully stitched, French seam sides and sleeves, anti rip triangle at hem sides, playful detailing with solid block turquoise colour in collar and sleeves. Made of super soft cotton. Men's dress shirt red converse trainers print on indigo base, long sleeves , cotton. One made only. Men's shirt purple and black print. Purple in collar long sleeves. cotton. Beautiful shirt!! My son is soo happy! Thank you! This was perfect my daughter was in Florida teen pageant and had s butterfly evening gown her dad said I want a butterfly shirt and so we found this! Beautiful shirt and material was amazing quality! Payment by PayPal or Credit Card. Returns policy: within 10 days, undamaged, un-worn. Refunds / exchange for goods only, postage excluded. Airmail international, Royal mail in UK. Items will be sent in air sure envelopes standard service. Customs is your responsability, I will mark items as gifts and no bills will be enclosed. All shirts can be machine washed 30C. No tumble dry, iron warm. Men's shirt purple and black print. Purple in collar short sleeves. Cotton.